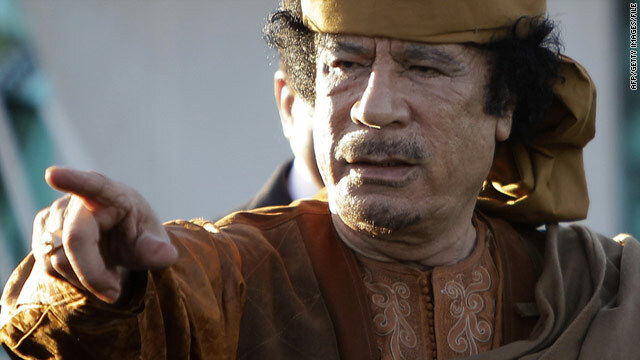 A compound belonging to embattled Libyan leader Moammar Gadhafi was hit by explosions on Saturday morning. Tripoli, Libya (CNN) -- The head of Libya's opposition government told reporters Saturday he welcomed a call Friday by Russian President Dmitry Medvedev for Moammar Gadhafi to step down. Medvedev's statement, echoing the stance of American and European leaders, appeared to indicate a closing diplomatic window for the longtime Libyan strongman. The chairman of the National Transitional Council, Mustafa Abdul Jalil, said he has offered amnesty to Gadhafi loyalists who defect before the demise of the regime, but reiterated that there will be "no negotiation for any solution until Gadhafi's departure." Once that happens, elections and a constitutional referendum will be held within a year, Jailil said in the opposition stronghold of Benghazi. In an interview with CNN, Jalil said the council had sold a shipment of oil to China for $160 million. The confirmation of the sale is expected to buttress the political and economic credibility of the fledgling rebel power. The leader said the movement has a "financial crisis" and is seeking loans from outside the country. The council is happy for political support, but will not ask Russia for arms or economic aid, Jalil said. The unrest in Libya has persisted for months as opposition members demand an end to Gadhafi's nearly 42-year rule. Jalil marked the 100th day of the nation's civil war. "We see victories emerging at both national and international levels," he said. "We should celebrate what our heroic sons have accomplished in Misrata and the Nafusa mountains, as well as applaud the wide international support for our revolution." Meanwhile, a series of morning explosions rocked the capital of Tripoli on Saturday, including blasts at a compound belonging to Gadhafi and one at a nearby tribal compound, a government official said. The official said one morning strike occurred on Bab bin Ghashir, a tribal compound near Gadhafi's Bab al-Aziziya compound, where the other strikes occurred. The official believed the strikes were NATO attacks. Morning strikes in Tripoli are rare. NATO confirmed one of the attacks -- a press officer said the strike on Bab bin Ghashir was timed to minimize civilian casualties. NATO said it targeted a vehicle storage area at Bab bin Ghashir. The tribal compound is used by people who volunteer as support forces for Libyan authorities. A decade ago, the site was used as a military station. NATO is operating under a U.N. Security Council resolution authorizing the use of any means -- with the exception of foreign occupation -- to protect civilians from attack or the threat of attack. It has been conducting airstrikes targeting Gadhafi's military resources. CNN's Amir Ahmed, Raja Razek, Nima Elbagir and Ben Wedeman contributed to this report.